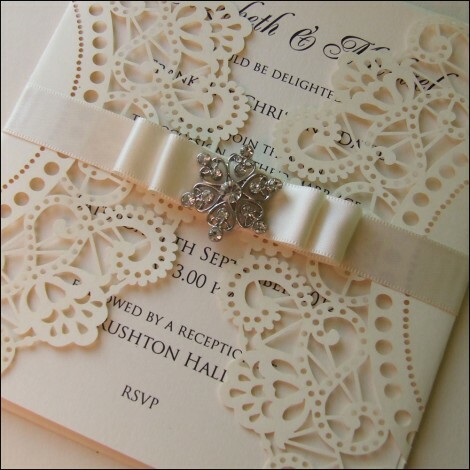 Ribbons are a popular embellishment for wedding invitations. 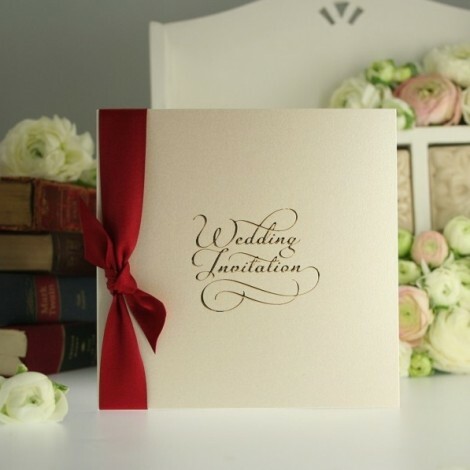 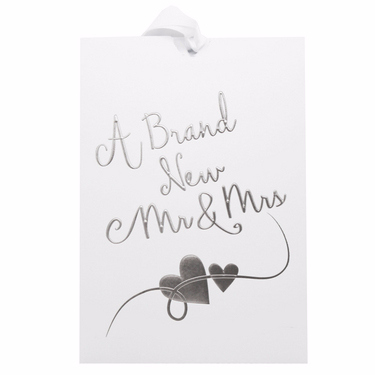 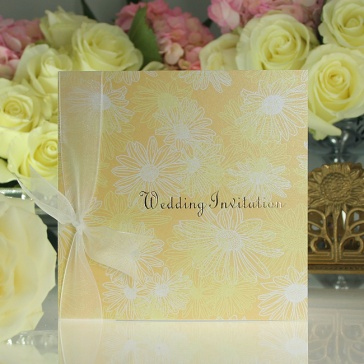 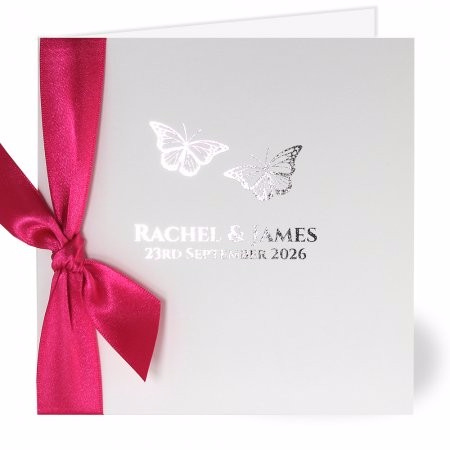 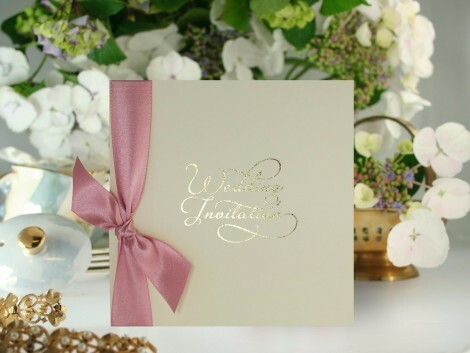 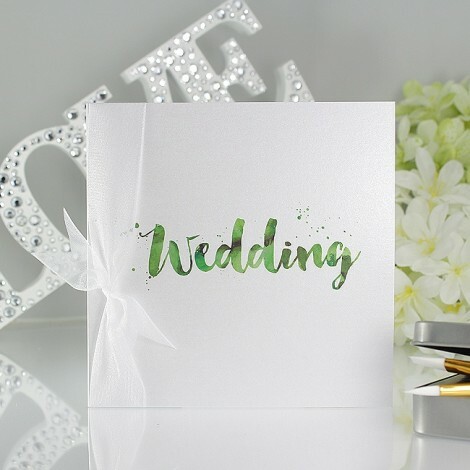 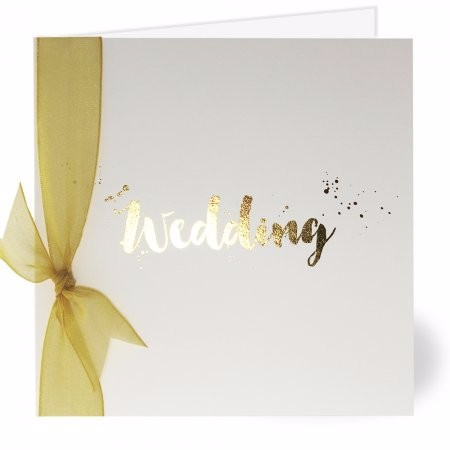 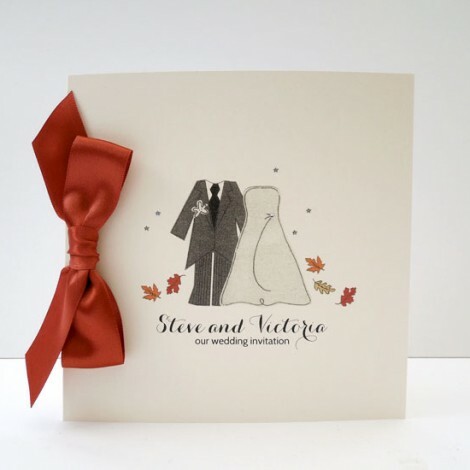 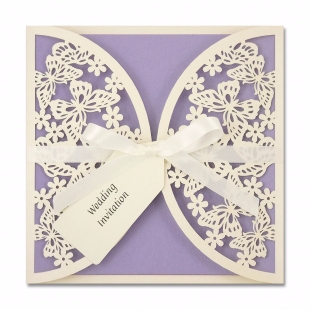 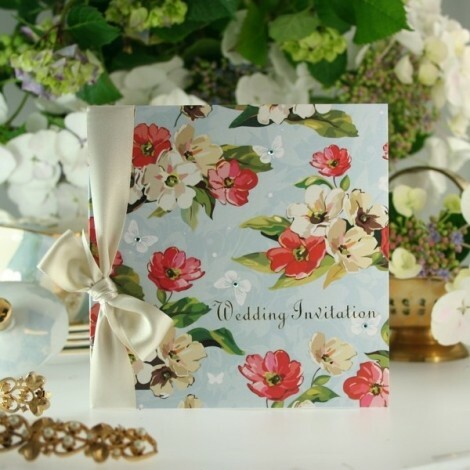 They can soften any design with a silky flourish and can add a delicate touch that separate a wedding invitation from any other greeting card that your guest make be used to receiving. 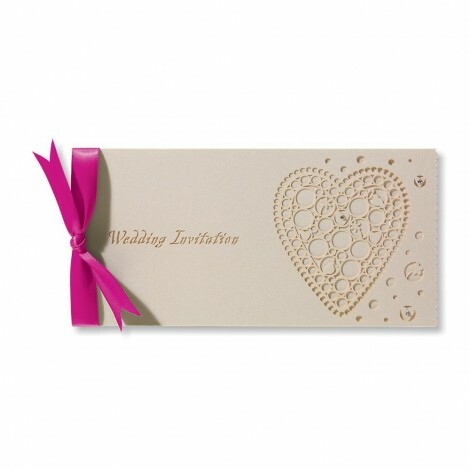 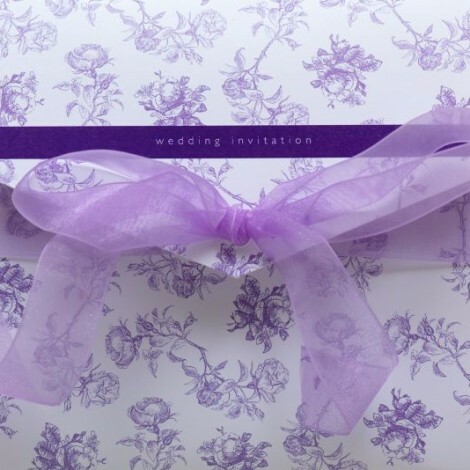 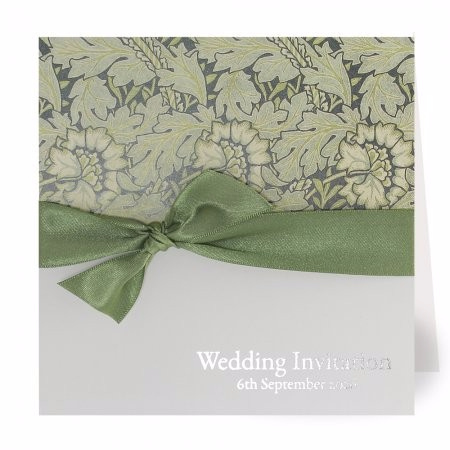 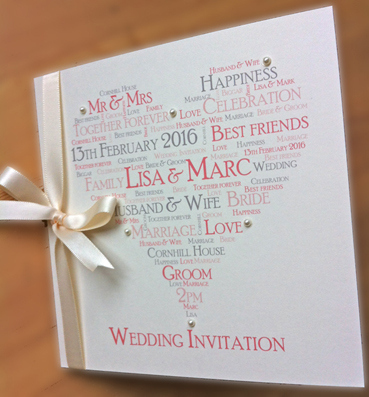 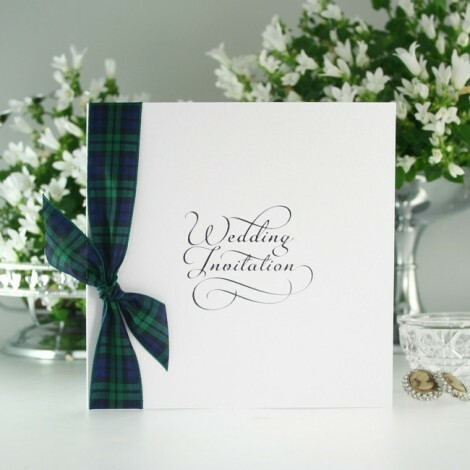 A popular style of wedding invitation that makes use of a ribbon bow is the gatefold wedding invitation. 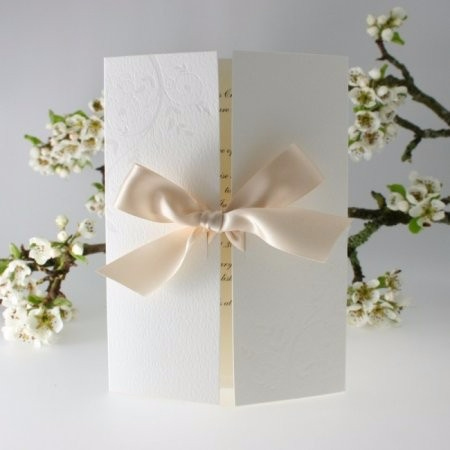 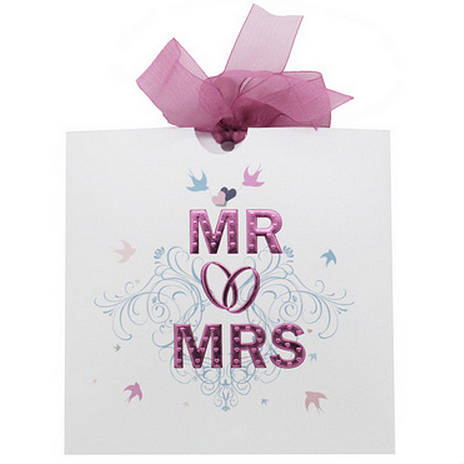 For these designs the bow wraps around the card and the bow makes a pretty and natural closure to hold the flaps. 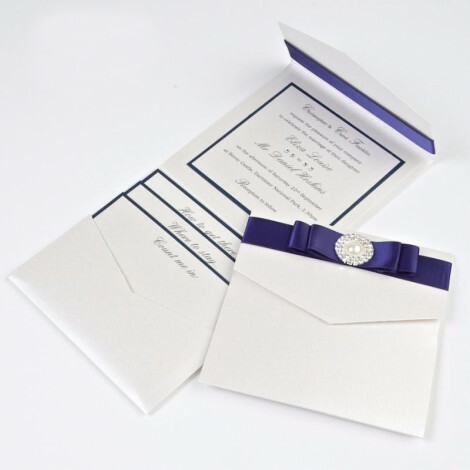 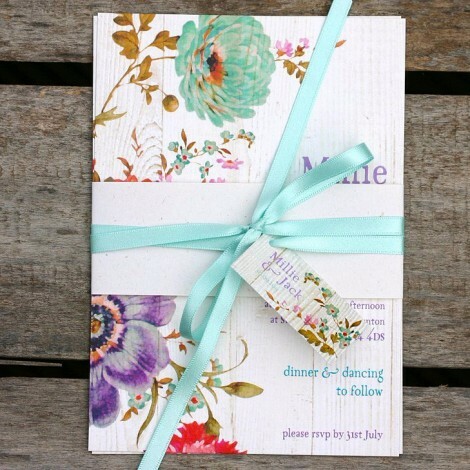 The guests can then undo the bow to read the invitation text inside. 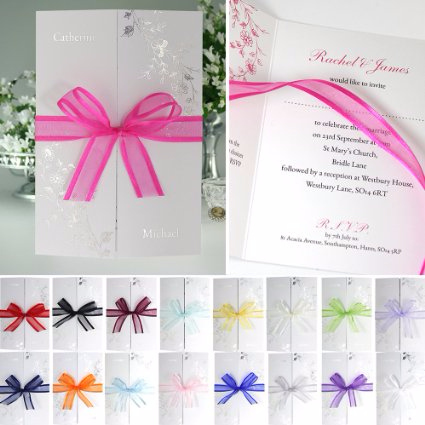 There are so many ribbon colours available that it is often possible to get a close match to a bridesmaid dress and most wedding stationery suppliers will be able to help colour match a fabric so that a colour theme can flow throughout all aspects of the wedding. 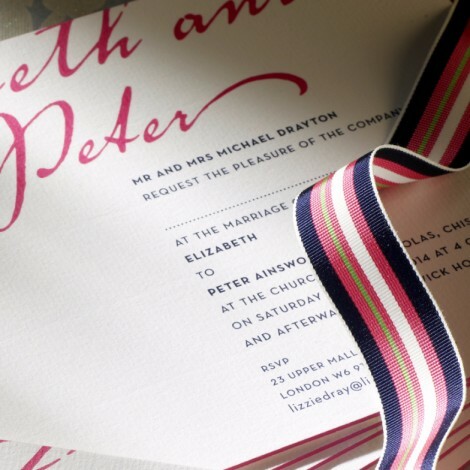 Satin and Organza ribbons are the most popular and many are available with pattern prints such as polka, striped or tartan. 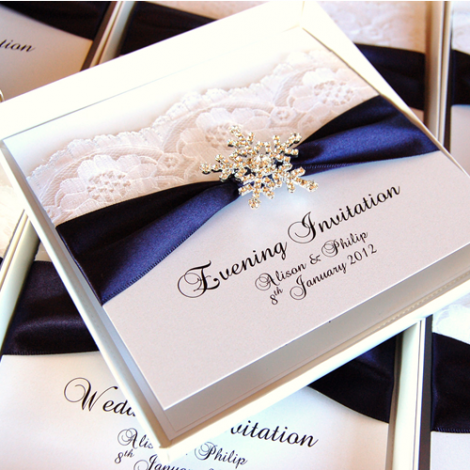 When ordering invites with bows then check with the supplier to see whether the bows are pre-tied or you need to tie them yourselves. 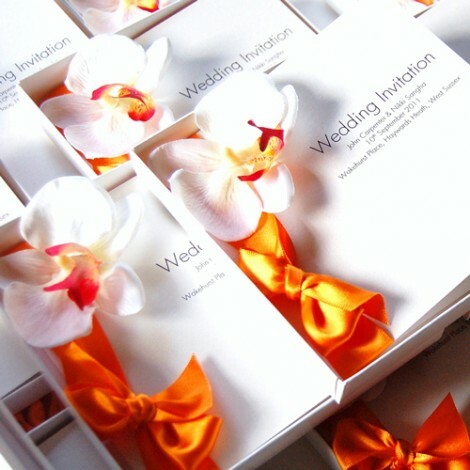 Some suppliers charge an extra fee to assemble the bows. 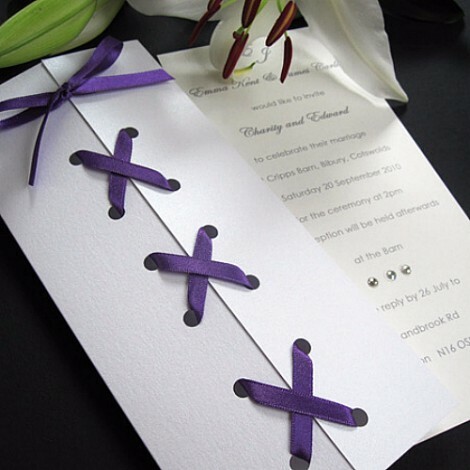 If tying them yourself then ensure you have a very sharp pair of fabric scissors to reduce any fraying on the cut tails. 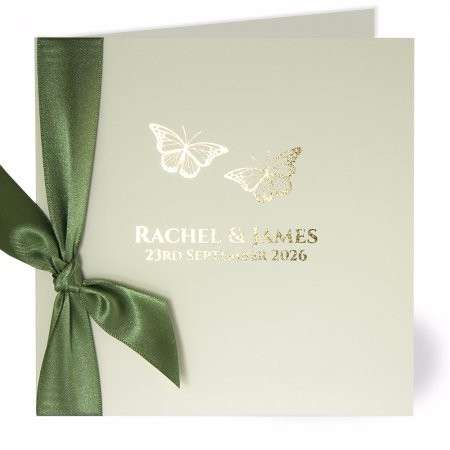 It is also worth checking the finished postage cost because whilst a bow may not add much weight to the finished invite and can often increase the thickness beyond normal letter weight. 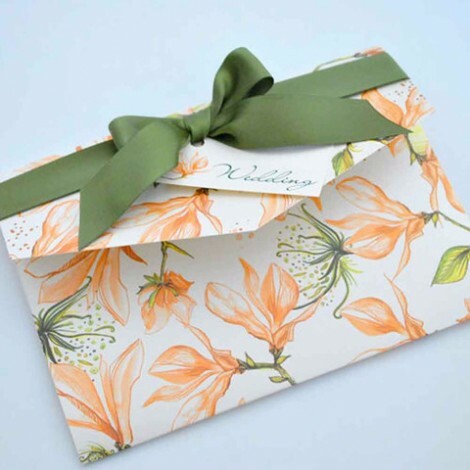 The final tip for this section is to be careful how you seal your envelopes. 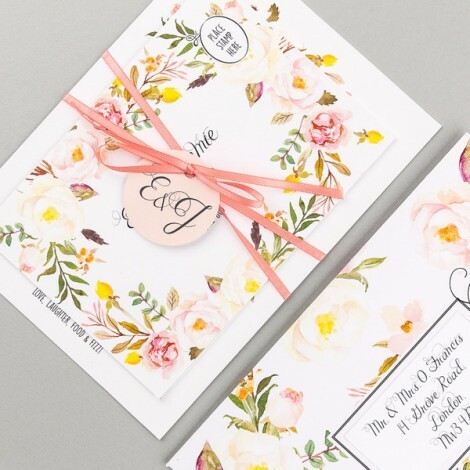 If you have gummed envelopes and the bow is pushing against the seal then ensure you hold down the flaps for a moments longer than usual so that the flaps stay securely stuck. 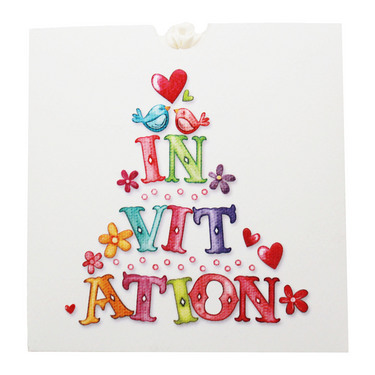 The last thing you want is your invitations popping out of their envelopes in the post.